Trigger Point Dry Needling therapy, sometimes known as TDN for short, has been shown to be highly effective in treating the muscle spasms and tension which often accompany conditions like ligament and muscular strains, herniated disks and arthritis. Trigger Point Dry Needling uses solid filament needles which are inserted into the skin and muscle in order to release the myofascial trigger points which are causing pain. This technique releases the body’s deepest tissues to reduce pain and improve the range of movement. The reason that “dry” features in its name is because no fluids are injected into the body when the needle is inserted, instead it is solely the needle which produces the effect in the tissues. If someone suffers an injury, as a result of an acute trauma or from repetitive strain, inflammation occurs in damaged tissues. This tissues then contract in order to protect the body from any more damage and the inflammation and contracture together inhibit microcirculation. This in turn prevents the oxygen-rich blood from reaching the injured area while also stopping waste products from leaving the site. This results in hypoxia at the site of the injury (a decrease in oxygen) which causes the body to begin producing fibroblasts – cells which produce scar tissue or fibrosis. Scarring and fibrosis builds around the tissues and muscles preventing them to functioning properly. It will not only stop them from shortening and lengthening as they should but there can also be irritation and compression of the nerves in the affected area which will eventually cause a loss of proper function. During TDN, a solid, small filament needle is inserted into a muscle which is painfully contracted. This creates a twitch reflex that helps to break the cycle of pain. This technique decreases muscular contractions, reduces chemical irritations, improves flexibility and decreases pain. When needles are inserted into the muscles, they also form a controlled lesion, cutting somewhere from 3000-15000 muscle fibers. This causes the body to think of the needle as an invading body, activating its immune system in response. The cutting of the muscle fibers causes an inflammatory response which the whole body responds to, reducing inflammation not only in the affected area but across the entire system. Which Conditions Can Be Aided By Using TDN In Physical Therapy? Some patients report that they experience a cramping or aching sensation when the needle is inserted into the muscle, however as this is a therapeutic response, it is a positive experience. Most patients experience improvements in their condition as early as right after their first treatment, finding that they can move more easily and have reduced pain in the affected area. Although a number of patients report that they experience soreness both in the area which has been treated and in the area where referred symptoms are experienced, this lasts for a maximum of 2 days. Some patients also experience bruising. Both bruising and soreness can be alleviated if the patient applies heat or ice to the affected area and performs stretches that they are taught to relieve the muscle which has been treated. 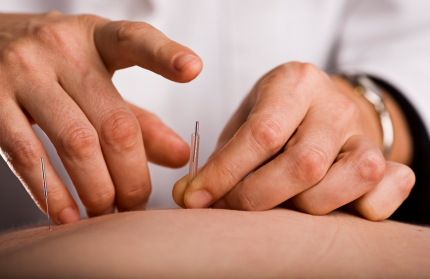 RPI Therapy Services can carry out Trigger Point Dry Needling therapy to help those who are suffering from a wide range of conditions, helping patients to find relief and reduce their pain.